With the Government’s initiative to abolish all carbon emitting vehicles by 2040, it’s no wonder electric vehicles have become as popular as they have. From cars to lorries, electric vehicles & electric motorbikes are slowly taking over our roads. What’s more, they aren’t limited to being the ‘inner city’ runaround they’ve been known as with some electric vehicles making journeys up and down the countries. We’ve had the pleasure of using electric bikes for years, offering tired pedalers a much needed backup in times of trouble but more recently, the electric bike has expanded. What’s more, the options here in the UK are better than ever. Electric bikes and electric mopeds or electric scooters are certainly a popular choice already, for everyone from college students to city commuters but what about those who want something a little more powerful? Here at E-Rider, we couldn’t be more thrilled to supply the ultimate in electric engineering, the electric motorbike. Unlike electric bikes and electric scooters, these amazing examples of modern day road vehicles pack a serious punch with some models offering speeds of up to 75 mph. With such ability, this means the usual city and A-road limits are no more, allowing you to travel virtually anywhere across country at minimal cost too. From the Model 40 electric motorbike, all the way through to the Model 75 electric motorbike, our selection of electric motorbikes are nothing short of fantastic, offering something to suit everyone, no matter what sort of power you’re looking for. The benefits of an electric motorbike are endless, especially when you can enjoy the power available to you in models such as the Model 60 and Model 75. You get to enjoy a motorbike that produces zero emissions, making them 100% safe for the environment. They’re also incredibly cheap to run too as electricity is so much cheaper than fuel. Due to them being emission free, it also makes them vehicle tax exempt. Add to this the fact that virtually any plug socket can be used to charge them and it’s hard to understand why everyone isn’t riding an electric motorbike? With E-Rider, you aren’t just buying a quality electric motorbike, you’re also getting the best customer service too. From our two year warranty that comes as standard to free UK delivery direct to your door; and let’s not forget our free returns policy. 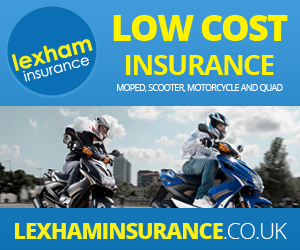 If you’d like more information on the electric motorbikes we have available, including our lease options and of course, accessories available, contact E-Rider today.